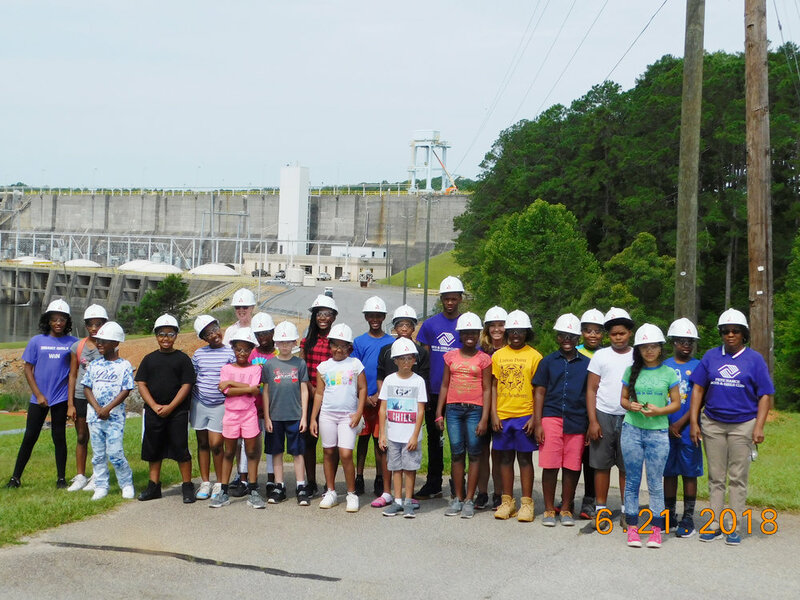 The fourth and fifth grade Pete Nance Boys & Girls Club members were able to take their summer learning about the environmental and economic impact of Lake Oconee on the community and apply it on their recent field trip to Georgia Power Company’s Wallace Dam. Club members have been learning about Lake Oconee’s history during this year’s summer programming. Facts such as how Lake Oconee is a reservoir on the Oconee River near Greensboro and Eatonton, which was created in 1979. Club members learned that the lake runs through Georgia's Morgan, Greene and Putnam counties and is separated from its sister lake, Lake Sinclair, by the Wallace Dam. Lake Oconee serves as a reservoir for Georgia Power Company's Wallace Hydroelectric Plant. When Club members learned they were going to visit the plant, they were thrilled to engage with their new knowledge. Club members listened to Mark McMillan, a plant worker for Georgia Power, as he explained the operations of the plant and how electricity is made. The tour also featured viewing the dam from different perspectives so that Club members could better understand the dam’s size. Oxidation was a topic that was discussed during the tour. McMillan explained to the youth about an oxidation study that was taking place on the lake. He also discussed how the lakes PH levels are self-regulating. If you’d like to learn more about Pete Nance Boys & Girls Club, visit our Club page or call 706-920-1400.